Top 'Happy-Go-Lucky' Bottom 'Red Ballon'. I was very lucky last week and won Stacey from Expat Makeup Addict blog giveaway. The prize were these MAC lipsticks from the Playland collections. I was so excited as it seems like ages ago since I bought anything from MAC and I was getting slight withdrawal symptoms, so thank you so much Stacey!! 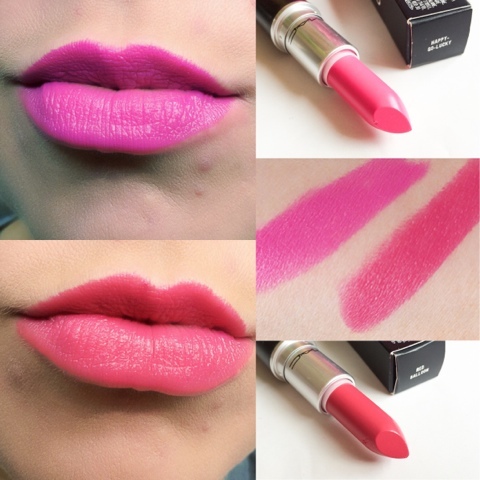 Both lipsticks are Amplified and deliver a satin finish to the lips. The shades I got were 'Happy-Go-Lucky' and 'Red Balloon'. 'Happy-Go-Lucky' is a bright blue toned pink, and even though it's vivid it's very wearable and adds just the right amount of interest to the lips. 'Red Balloon' is muted pinky red and almost has a dusky rose feel to it. It's the sort of colour that would go with everything and the perfect shade if you're scared of bold reds, as it's an ideal first red shade for anyone. These and other items from the Playland collection are all available on the Mac website. 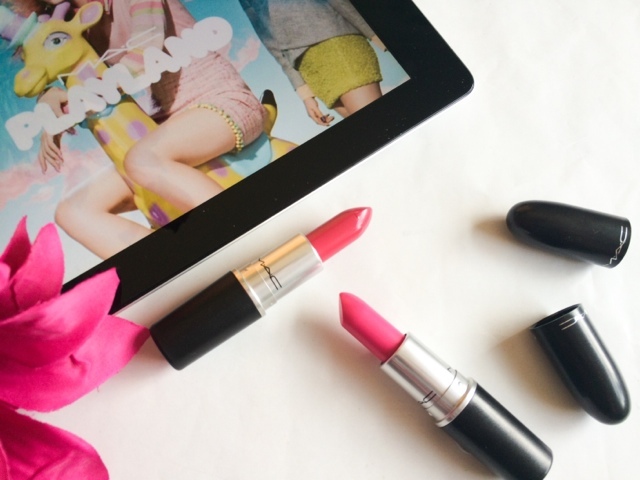 Have you picked anything up from the MAC PlayLand Collection? Both gorgeous shades, i love the look of Red Balloon!